We as an Entrepreneur we provide online school belt of students, come up with an idea to serve our customers the premium services in school uniform categories, it is our firm believe that we can serve in the best possible way. In today's market scenario we know that there are many existing players in this beautiful category, but our intentions are quite different, we as a unit has taken a responsibility we will serve our customers like none other have ever done that because our motto are different from other we are not here make money only but we can the quality of our product and better service at first place. Why schools have school uniforms as mandatory: - As the name suggest uniform means ‘equal’ so the basic reason to have school uniform to show equality amongst all students, whether they belong from different income group of different social status, so wearing almost same cloth will never give a sense of un-equality the other reason may be is a schools are meant for study or to gain knowledge so that your kid can become a good human being one day, it is never meant to show your fashion skill. 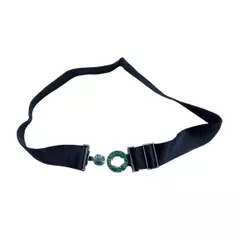 School belt are integral parts of school uniform. uniform will not be completed, it is mandatory for boys as well as for girl’s uniform. We deal in school belt category for boys/girls, our customer can buy the best in class variety of school belt online for your kids. Many of the students prefer online school belt purchase our best in class school product are liked in almost every school in town. We are having the tie-up with many schools in the town, it is our quality which does it all for us. Read Less..